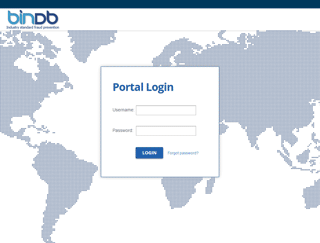 What is the Web Portal Service? 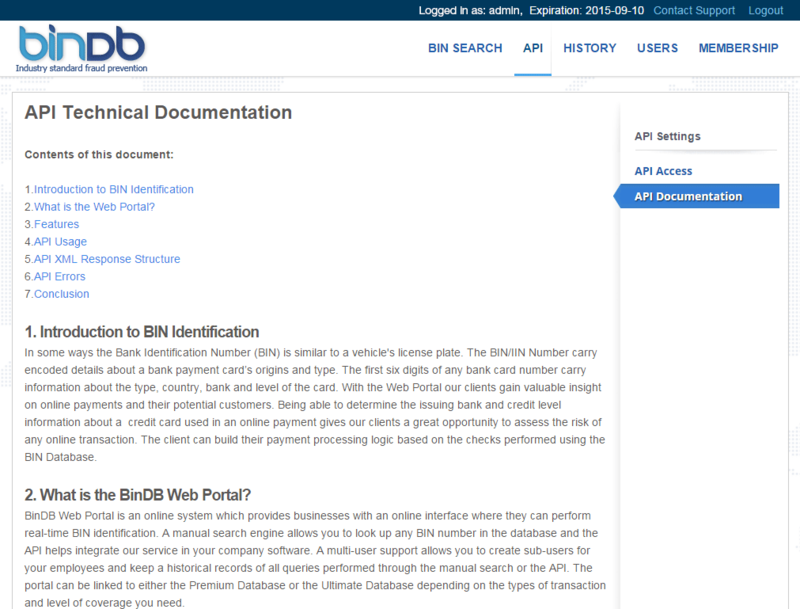 The BinDB Web Portal is an on-line system providing access to the BIN database over the internet. Simple to use, yet very flexible solution, the Web Portal contains many key features to ease the process of BIN identification. 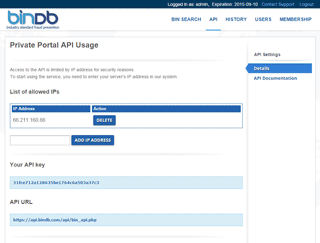 Accessibility - Your database is accessible from everywhere with internet access. 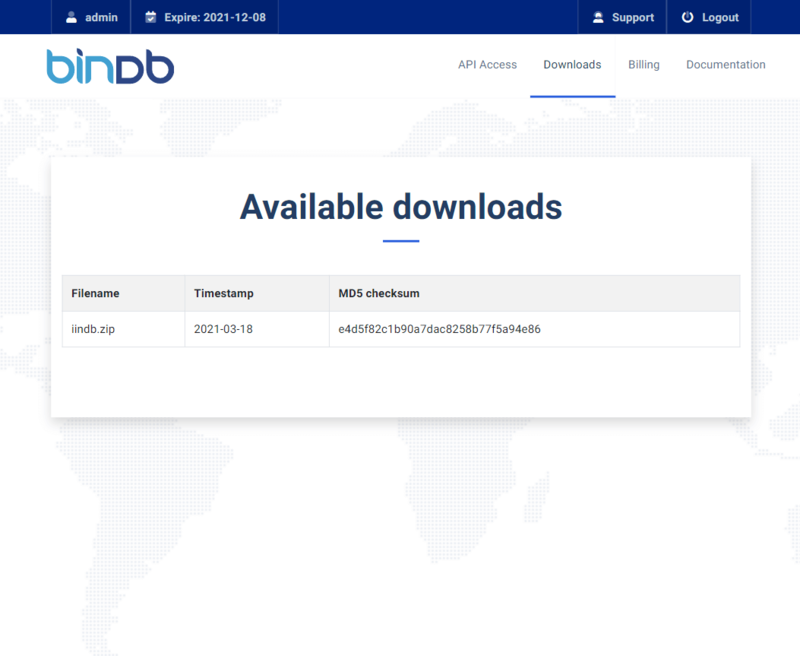 Automatic Updates - We keep the database up to date, no need of replacing files and adding updates to your database file. 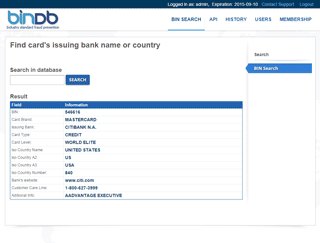 Security - We keep your database on our secure servers and only you can access it. 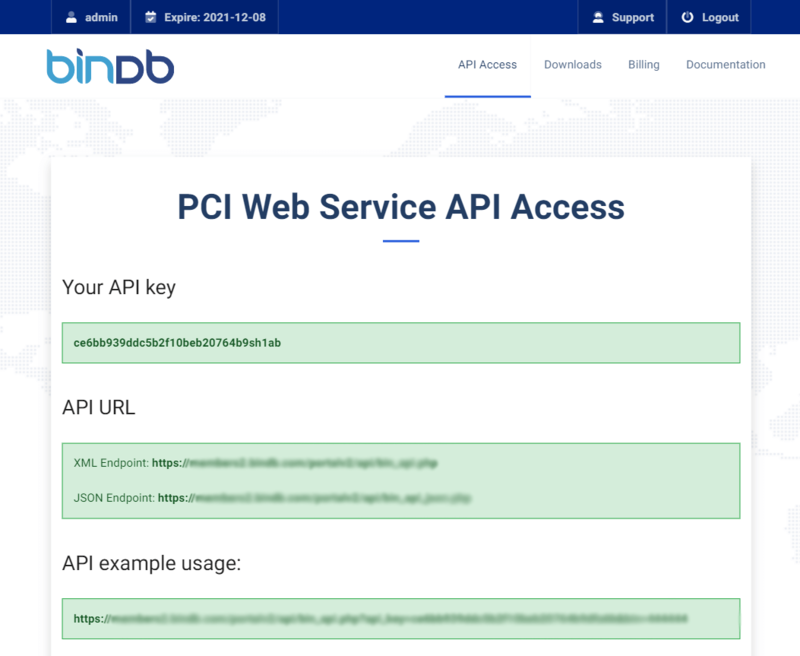 Automation - Simple and easy to use REST/XML API helps automate the BIN lookup process. 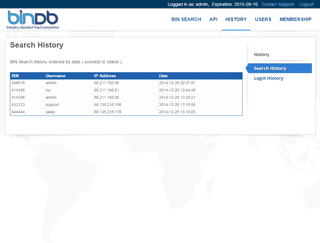 Unlimited BIN Search - No restrictions or limitations on the number of queries you run. 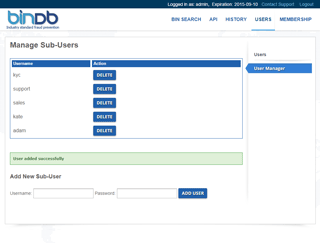 Admin Username and Password - Only you can access your portal and manage it's users and history. 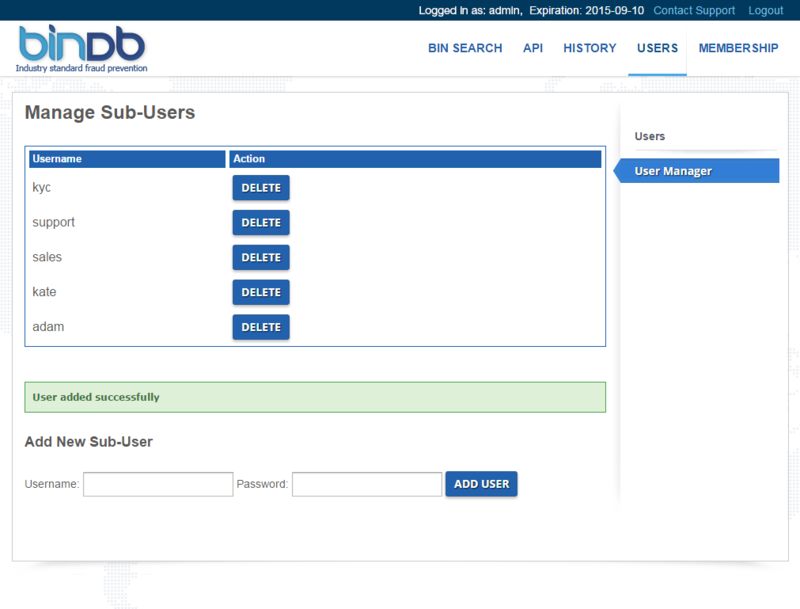 Management - Provides the ability to add/remove sub-users for your employees. 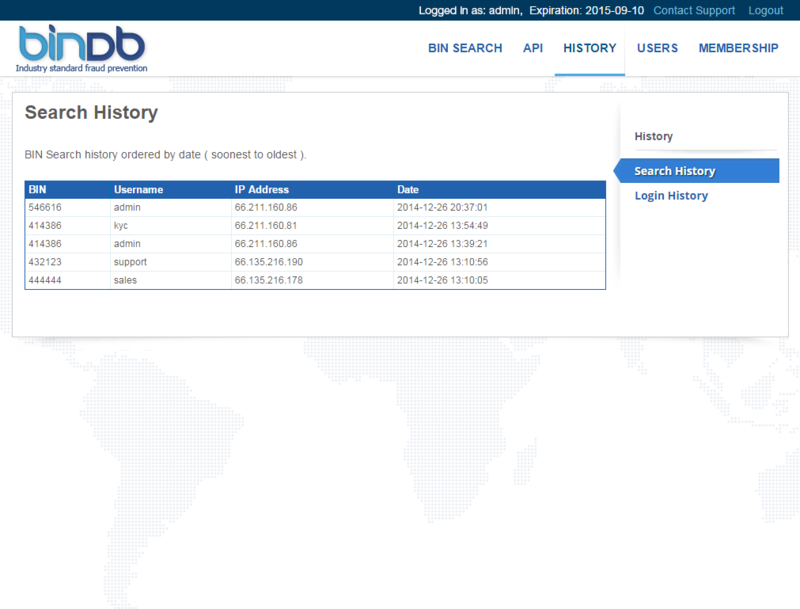 Query History - A detailed chronological record of all bins searched from you and your employees. 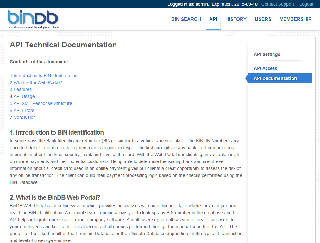 BinDB provides custom development services related to integration and expanding your Online Portal. 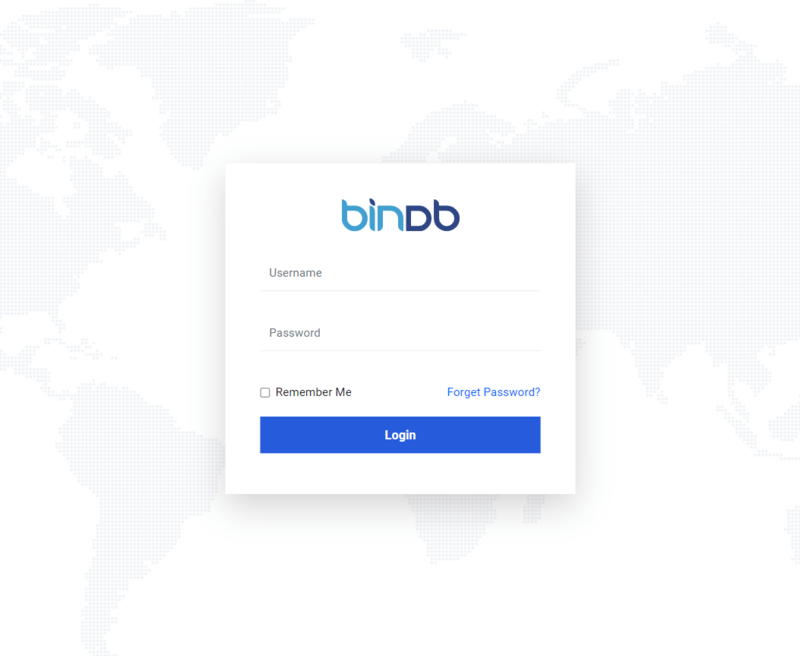 Sign Up now for BinDB Online Portal.